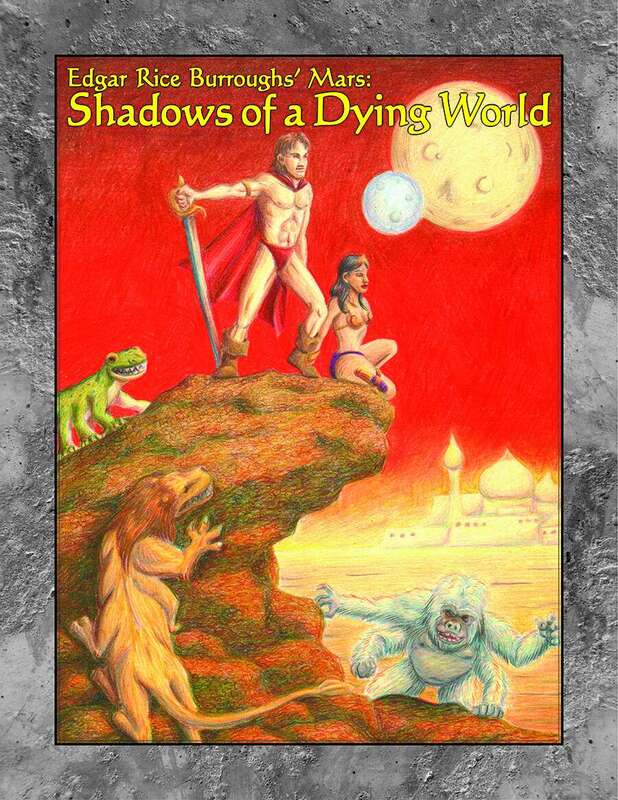 Since I missed yesterday (lots of stuff ate my day), here’s a bonus Celebrating InSight Week Pick, Adamant Entertainment‘s Savage Worlds treatment of the Burroughsian vision of the swords-and-lasers fantasy that is Mars. Though many games (including most of the Picks this week) go to this place when exploring Mars, it’s fair to say Gareth Skarka was one of the first to delve this deep and with this much love. There’s also the earlier d20 version. Not Mars as it is – airless, most likely lifeless, with only the faintest hints of what might have once been a damp, if not necessarily lush and living, world billions of years in the past. No, this is Mars as it should be and as it was once imagined to be – an ancient, dying, but not yet dead world, a world where a vast canal network reaches from pole to pole, bringing water and life to vast and fantastic cities. A Mars where albino apes run a vast empire in the last surviving jungle, a world where warrior tribes of Green Martians raid the outlying cities of the canal dwellers, a world where, in places dark and quiet and forgotten beneath the surface, ancient and terrible intellects plan dark and dire deeds. Adamant Entertainment’s sword-and-planet campaign setting is now available for Savage Worlds! From character creation, to creatures, to tips on the planetary romance genre, MARS: Savage Worlds Edition features everything you need to get started telling savage tales of adventure beneath the moons of Mars. As I close out Celebrating InSight Week, my exaltation of the latest NASA Mars project, we’re taking a look at Mars-specific gaming products. Today’s Pick is from Onyx Path, and it’s yet another Burroughs-inspired space fantasy delve into the mysterious red sands of the warrior planet. Rose Bailey (and a fantastic cast of co-creators, including my old friend and one of my favorite artists, Storn Cook) bring a fresh, loving perspective to this idea, and it’s a clear sign of Onyx Path’s successful exploration of worlds beyond Darkness. 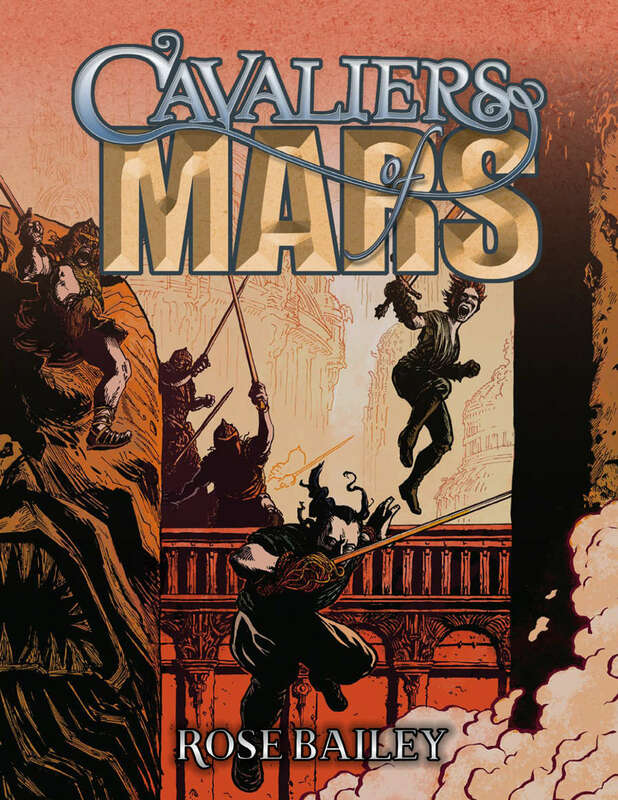 Check out Cavaliers of Mars! Even as the new robot living on Mars (yes, that’s right, as far as we know, Mars is entirely inhabited by robots), we continue Celebrating InSight Week with yet another Mars-centric Pick, Edgar Rice Burrough’s Mars: Shadows of a Dying World (An OGL Guide to Monsters, Races, and Beasts). A mouthful of a title, but very informative, as well – this is the definitive guide to incorporating the classic science fantasy work into your 3.x/Pathfinder gaming experience. Another solid work from the great folks at Skirmisher. As we continue our Celebrating InSight Week, here’s another look at Mars as a place of adventure in the RPG world. An elaborate adventure and sourcebook for Space: 1889, The Complete Canal Priests of Mars restores tons of cut material from the original version and provides a Mars-based mini-campaign that can be the basis for a much longer time spent on the Red Planet. 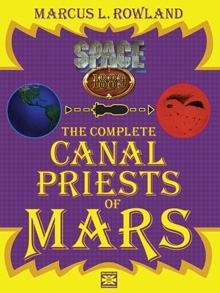 Serving as an excellent introduction to Space 1889, The Complete Canal Priests of Mars has our heroes help Martians accomplish a holy mission in London, then travel to Mars aboard the Princess Alexandra, the largest and most luxurious ether liner ever built! Throughout their journey they must face the hazards of London, the Ether, and Mars, compounded by mysterious enemies bent on stopping their Martian allies! 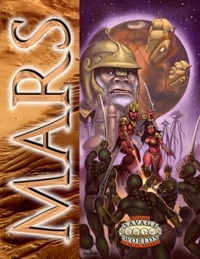 The original edition of Canal Priests Of Mars cut slightly over a third of author Marcus L. Rowland’s manuscript to fit GDW’s adventure format. The Complete Canal Priests Of Mars restores the cut material, features all new artwork by Paul Daly, and adds many useful player handouts. Enjoy the “author’s cut” of a classic Space 1889 adventure, or experience it for the first time! It’s on the nose for Extra Large Bowl of Cereal Week, which is fine because – let’s face it – all those cartoons were pretty on the nose, too. 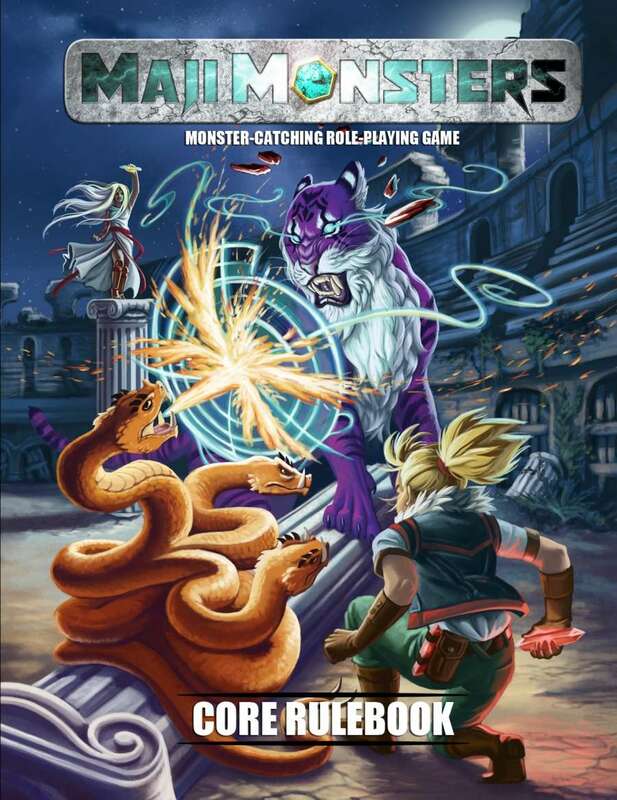 Saturday Morning Tabletop RPG takes your 5e D&D rules, turns them on their ear, and lets go coo-coo-go-crazy-nuts with over-the-top action and outlandish adventures that would fit on any small screen. Grab the action figures, stat them up, and have a grand time! Have you ever wanted to play halfling gunslinger or a yeti wizard? Or is a giant sword wielding cat more your style? Awe shux, maybe you’re the kinda person that’ll love playing a dwarven were-bear wrestler who suplexes giants to warm up before the real fight!? Whatever it is, the Saturday Morning Tabletop RPG has it. From the totally insane high fantasy combat to the kinda game that has you uttering “zoinks”, or even “jinkies”, the way you play is totally up to you. 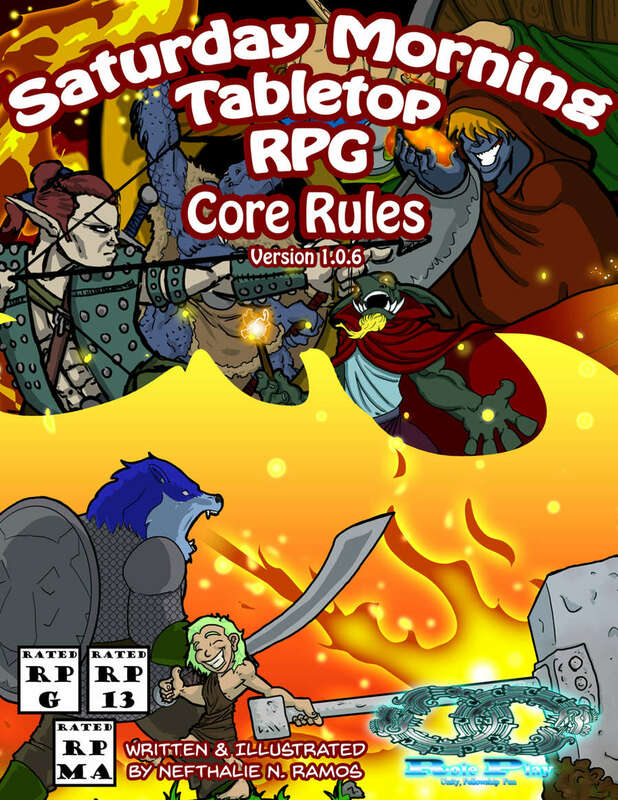 The Saturday Morning Tabletop RPG was designed using the D&D 5e OGL, but many new rules have been implemented to create a brand new experience while still having a sense of familiarity. Think of SMTT as D&D cranked up to eleventy five! And yes, eleventy five is a real number, just ask anyone under the age of five . . .
54 cantankerous character options to customize your Saturday Morning hero! 148 spells, & Spellcasting classes that cast those spells each in their own special way. An included toolkit for creating custom animal companions & followers! An evildoer toolkit! So that maniacal GM can create an endless flood of baddies to be beaten up and bashed back into the boiling pits from whence they came! Or to just trounce on some would be heroes. 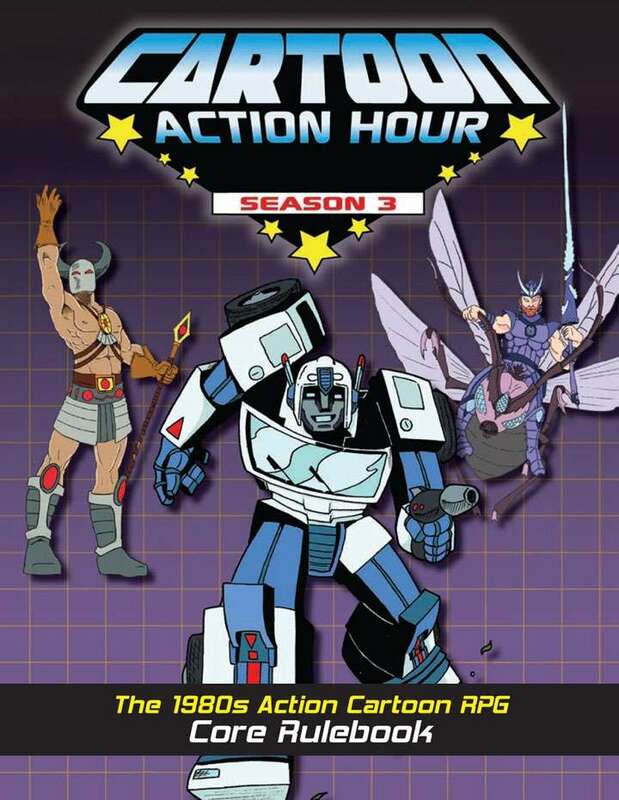 The “strange critters that are your friends/gladiatorial warriors” craze was after my time as a consumer of cartoons, but it took hold and never went away with shows like Pokemon, Digimon, and Cardcaptors. 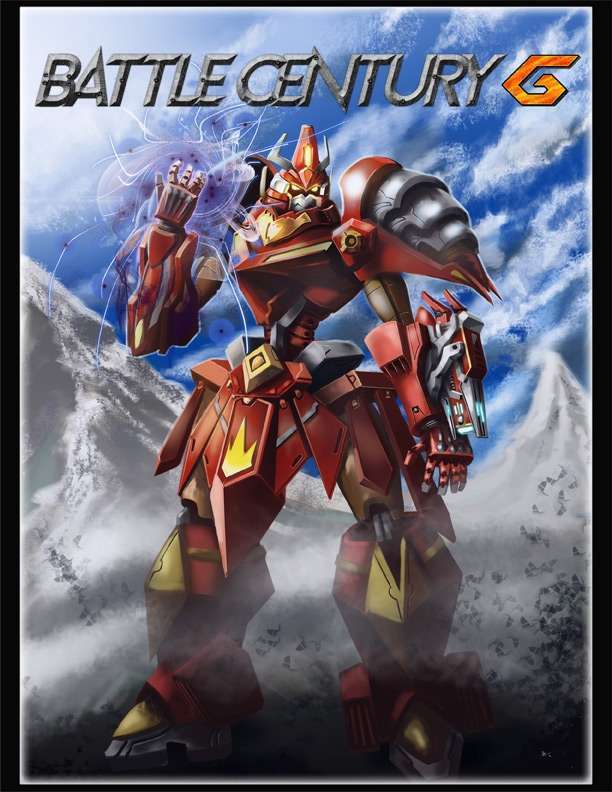 Now there’s this rather elaborate and engaging tabletop RPG that does its own bit of worldbuilding while empowering creative players to craft their own magical war-monster creations. MagiMonsters is a huge hit with the local crowd here in Denver, and the players spend hours talking about the game between sessions, so Late Knight Games did something right, making this a solid Extra Large Bowl of Cereal Week Pick. By the way, this and thousands of other titles are currently on sale for 33% off thanks to the Black Friday to Cyber Monday Sale. Who will you be? What Monsters will you face? What story will you tell? Make your decisions wisely, and do not delay… Monsters are coming.